During the final battles on World War II's Western Front, the legendary German Tiger I heavy tank clashed with the brand-new M26 Pershing fielded by the United States. 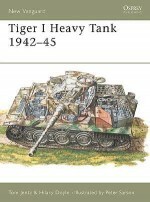 The Tiger I had earned a formidable reputation by the end of 1944, although its non-sloped armour and poor mobility meant it was being superseded by the Tiger II or 'King Tiger'. While the Tiger I had been in the front lines since 1942, the US Pershing first entered combat in late February 1945, and more than 20 Pershings would see action before war's end. 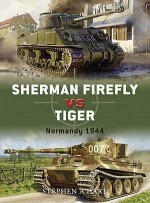 This book examines the dramatic Tiger/Pershing duel at Elsdorf in Germany, and also assesses the clashes between German armour and the sole 'Super Pershing' deployed to Europe. Featuring full-colour artwork, carefully chosen photographs and specially commissioned maps, this is the story of the first US heavy tanks in combat with the fearsome Tiger I during the last months of World War II in Europe. Steven J. Zaloga received his BA in History from Union College and his MA from Columbia University. He has worked as an analyst in the aerospace industry for over two decades, covering missile systems and the international arms trade, and has served with the Institute for Defense Analyses, a federal think tank. He is the author of numerous books on military technology and military history, with an accent on the US Army in World War II as well as Russia and the former Soviet Union.Jim Laurier is a native of New England and lives in New Hampshire. 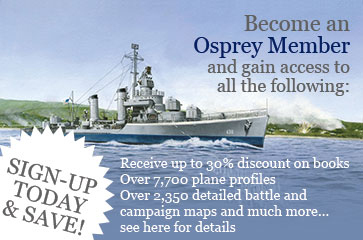 He has been commissioned to paint for the US Air Force and has aviation paintings on permanent display at the Pentagon.